Transmitters are among the most important equipment used for the purpose of measuring a number of parameters, such as pressure, temperature, level, flow, etc. Different transmitters are used for measuring diverse parameters. 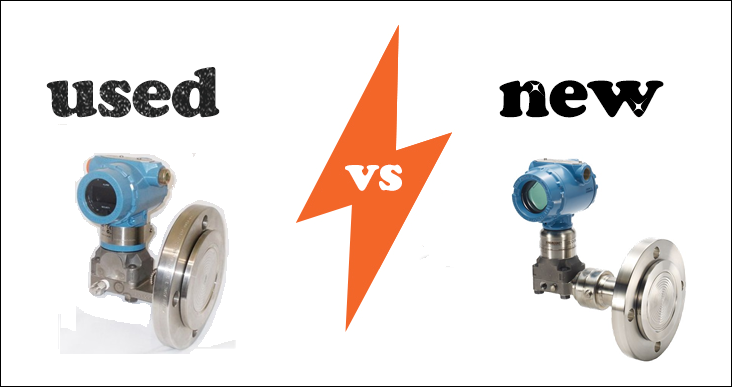 These measurement transmitters are available in the market, and can be availed in two options – new or remanufactured. Both the options are good and have their own pros and cons. But most still go with the new transmitters, just because they think reconditioned transmitters won’t do justice to the applications. On the contrary, on several occasions and applications, these transmitters are better to go with rather than buying a new one. Why? This post is focused on answering this “why?” Read on to know more. Users end up spending those extra bucks on buying a new transmitter, when it is not needed most of the times. However, there is a vast list of advantages, which explains why it is a good option to choose a remanufactured transmitter instead of a new one. A Cost-effective Solution – The remanufactured transmitters are a cost-effective solution, and you don’t have to pay huge amounts. However, the quality of the equipment is not sacrificed. The reconditioned transmitter has the capability to work with similar efficiency as that of a new. Reassembled by Skilled Professionals – It is wrongly assumed by many that the original assembly of a new transmitter is perfect and ideal for an application. On the contrary, the refurbished transmitters do not have that good and perfect assembly as a new one. However, this is not true. First of all, during reconditioning, new parts, such as gaskets, tags, and O-rings are used. Secondly, these equipment are reassembled by the experts, so that there are very little or no chances of faults. Thorough Cleansing Performed – The optimum quality of a transmitter is maintained by carrying out thorough cleansing of every component. In this cleansing process, the material of the component is taken into account, and then suitable cleansing process is carried out. All the necessary quality control guidelines are met by comprehensive cleansing processes performed on these equipment. Comprehensively Tested Transmitters – The refurbished equipment are thoroughly tested, to ensure that there aren’t any shortcomings. Automated testing devices are used to ensure that all the components of the transmitter are working fine. The testing equipment are certified to make sure that the testing is done while maintaining all the necessary standards. Environmentally Friendly – The remanufactured and reconditioned equipment helps reduce the carbon imprint. Also, overall electronic waste is reduced by a considerable amount, along with increasing the value of the transmitter. All these benefits make these transmitters an environmentally friendly equipment. These were the reasons that explain it is a better option to go for remanufactured transmitters rather than spending extra cost on new one. However, it is best to consult or deal with the experts while getting a for your application. One such expert is The Transmitter Shop, which has a great experience in providing good quality remanufactured/reconditioned transmitters in the US.